LONDON, May 12, 2014/ — Move over Hans Christian Andersen! There is a new fairytale beauty maker in town. 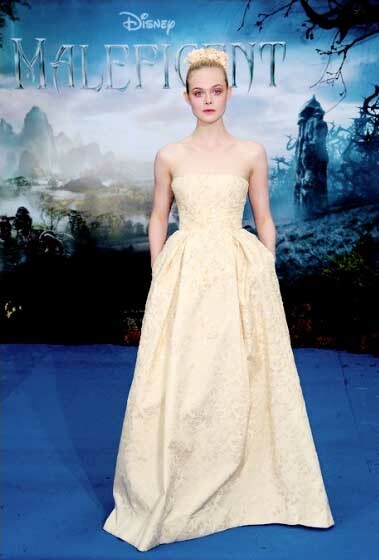 Georges Hobeika made Charles Perrault’s Sleeping Beauty come alive in the person of Elle Fanning. 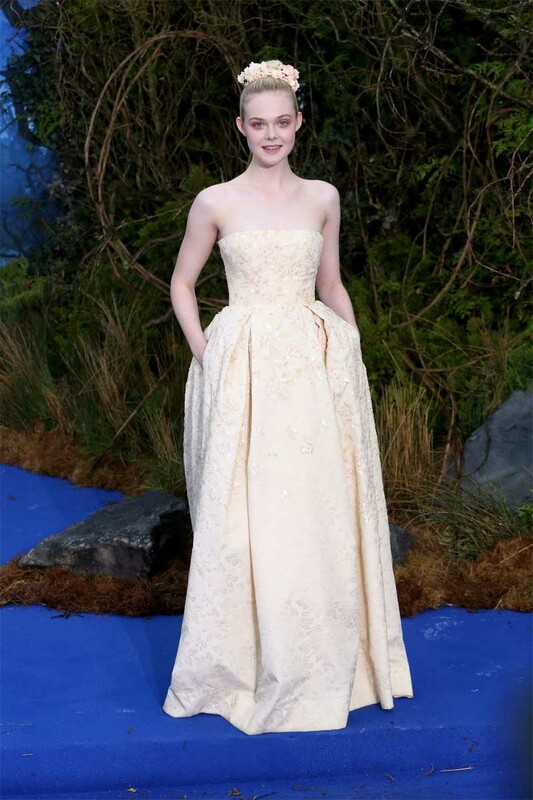 In London on May 8th for the “Maleficent” UK premiere and private reception held at Kensington Palace, Elle Fanning donned a Georges Hobeika gown from his FW 2013-14 Couture collection. The lemon cream brocade silk, strapless princess gown, embroidered with pistachio and light pink beading in a flower motif made Elle a real life princess in our eyes.